Our TRIBE is amazing! They are my second family. Apply for my new coach apprentiship program in the link below. I will answer any questions you may have and we can see if we are a good fit for each other. I am looking for motivated encouraging women who want a different way of life and want to make a difference in the world. We will create a plan of action that fits YOUR schedule and needs and then you will get access our Team's training resources, our private page along and I will be here to help guide you every step of the way. You are in business for yourself but not by yourself. I work closely with my Team and I will be here for you every step of the way. I promise to give you the tools and resources to be successful. Of coarse, you have to do the work, learn and grow, but I will guide you. This business will also provide you with extra accountability for staying healthy and active as well. Whatever your income goals are, if you are teachable and determined, I can help you get closer to those goals. About me: I am just an average (prior military spouse - my husband retired from the Army after 22 years) mom who found something she is passionate about who focused on helping others, being consistent and working on her own journey for 4 years years and have built a significant full-time income to support my family. I have helped many on our Team build a successful supplemental income while working part time hours, and many are on their way to a full time income as well. Many have paid of debt, traveled, are able to do date nights with their spouse, and are no longer living paycheck to paycheck. We have a large number of military spouses on our team as well and being a prior Army wife, I understand what it is like to live a very frugal life because we had to as a one income family. At one point I did work full-time but due to the demands of military life, it just did not workout for me, so I was forced to put my career goals on hold. I do have a 4 year degree, but it was not necessary for what I do now as a Coach. I have been a consistent builder and have achieved the award for being a Success Club legend which means I have been consistent and hit a goal of helping 3 new people a month every month for 41 months. I encourage our Team to focus on consistency and genuinely helping others which in turn creates LONG TERM stability and income growth. I look forward to hearing from you and seeing if you are a good fit for our Team! 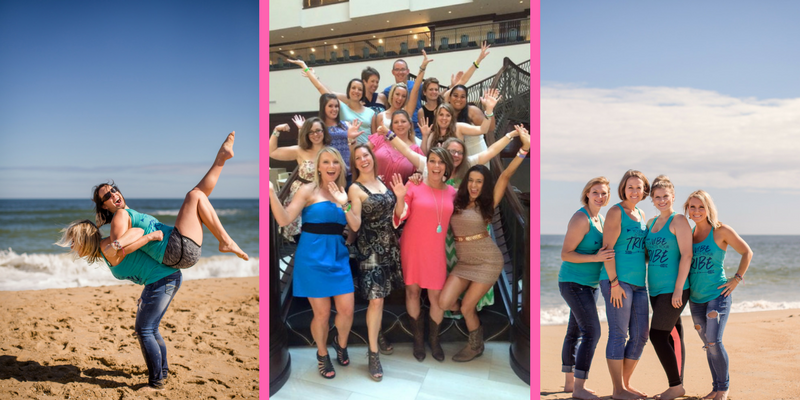 Taking applications now for 5 busy moms who want to earn income, work on their own health and fitness goals, and invite others to join them. We will start our NEW COACH BASICS TRAINING the last Monday of the month. Beachbody Coaches save 25% on purchases PLUS we earn 25% commission on all sales plus you earn Team bonuses too. There is no quota or monthly minimum. The cost to become a coach is $39 and there are monthly Coach fees of 15.95. If you are active military or a military spouse, you can have these fees waived. If you purchase a challenge pack (Shakeology and a workout bundle - prices range from $140 - $245) the enrollment fee is waived. I can help you make the right decision for you, so just contact me @ jenniferwoodfitness@gmail.com and we will figure that out. Please send me a friend request on Facebook.